This is a sponsored post written by me on behalf of Cooked Perfect® Fire Grilled Chicken for PayPerPost. All opinions are 100% mine. These Mini Loaded Hasselback Potatoes are going to be a hit at the dinner table tonight! With some help from the store this dinner is going to be a breeze! Remember back when your kids were little and family dinner at the table was your biggest accomplishment of the day? I do. I remember it very well. But these days our kids are older (one’s a teenager, the other is 10) and between school and sports and extracurricular activities I honestly can’t remember when we all sat down at the table together. And I don’t feel bad about it one bit. There’s enough in life to beat yourself up about – yes? I really don’t think trying to hyper-organize all the schedules to eat dinner together is one you need to focus on. What we really try and focus on is just getting them dinner…on their way out the door or after sports or at 9:00 at night when they’ve just gotten home from a game and showered. Especially having a food blog where we are cooking most of the day, no one wants to be cooking at 9:00 at night. That’s when you either bust out the leftovers or take some help from the store like this Cooked Perfect Fire Grilled Chicken. Cooked Perfect Fire Grilled Chicken comes in a variety of flavors like Korean, Buffalo Ranch, Lemon Herb and Bourbon BBQ to name a few. This time I grabbed the Bourbon BBQ knowing it would be a hit with everyone. So what’s so great about this frozen chicken? Taste for one, the flavors we’ve tried so far have been delicious and adaptable for many recipes. For two, grabbing a bag of Cooked Perfect Fire Grilled Chicken in the frozen aisle at the store and bringing it home is really the hardest part. The rest is a breeze. Many nights – almost every night – our teenager will eat a FULL MEAL, go do his homework and then come down for dinner number two. Man, I wish I still had the metabolism of a teenager! But to tell you the truth he’s running about 3 miles a day and working out at soccer practice every day…something I’m not quite doing either so I guess he does need the fuel! Cooked Perfect Fire Grilled Chicken can be heated up in the oven or the microwave, so this is a great option for him. Instead of eating a bag of chips he can grab a plate and microwave some chicken instead. 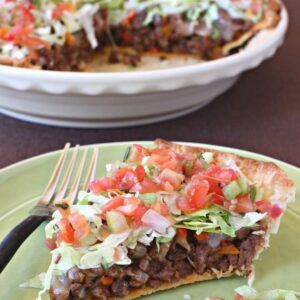 Having options like this in the freezer for my boys are a definite win. Anything I don’t have to be involved in at 9:00 at night is a bonus. 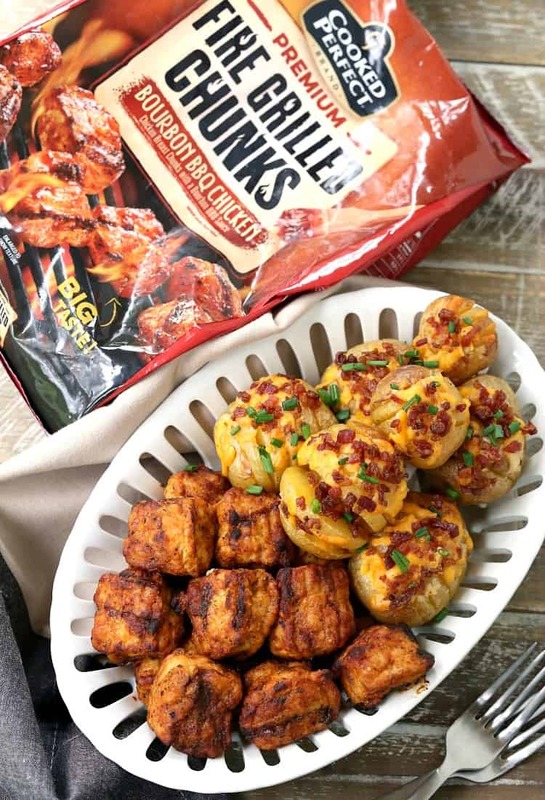 You can also serve this chicken up for dinner, hot from the oven paired with a side dish like these Mini Hasselback Loaded Potatoes! Baked in the oven and stuffed with bacon and cheese…they’re going to go perfectly with this chicken! Really anything goes with this chicken: fried, rice, pasta, even cut it up on a salad. But these potatoes are going to take the prize. 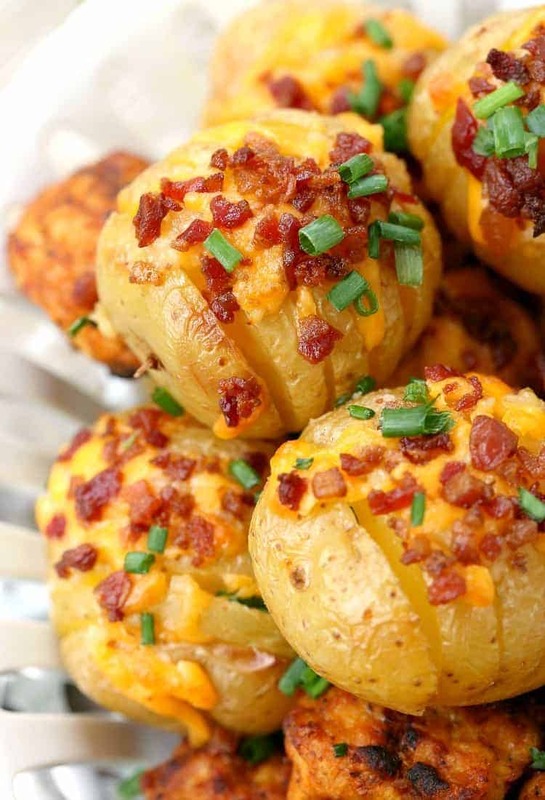 Mini, tender, creamy potatoes oven roasted and loaded with cheese, garlic and bacon. How can you go wrong with that? 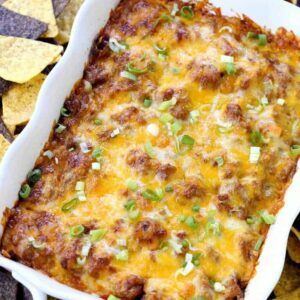 You can throw them in the oven right along with the chicken for a fast and easy dinner that’ll have empty plates all around! 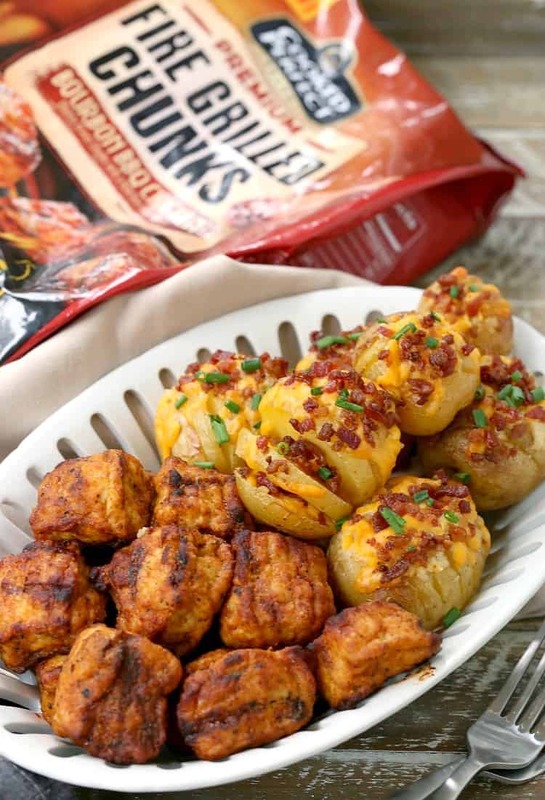 You can switch up the toppings, too for these Mini Hasselback Loaded Potatoes! 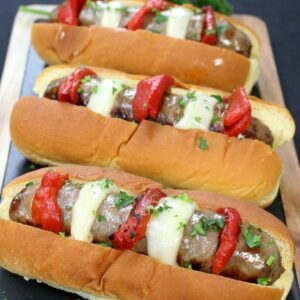 Maybe different cheeses, peppers, or sausage instead of bacon? Anything you want to get up on there and melt into these potatoes I’m sure is going to be good. 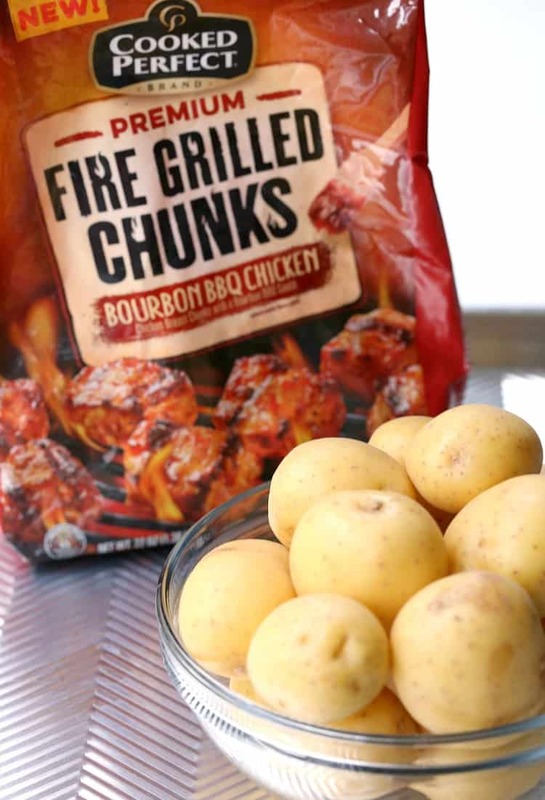 Grab whatever toppings even that you might have on hand that day, just make sure to get the Cooked Perfect Fire Grilled Chicken and potatoes for this meal. So let’s try and focus on the good stuff here. Dinner together isn’t the most important thing, a good dinner that everyone will love is important. Getting your kids to learn how to prioritize their time and stick to a schedule, important. Having options for your family that won’t keep you over-scheduled and exhausted, important. And when you do have time (and hopefully you do once in a while) to sit down together and have a meal it’ll seem like a special treat and make you appreciate it that much more. 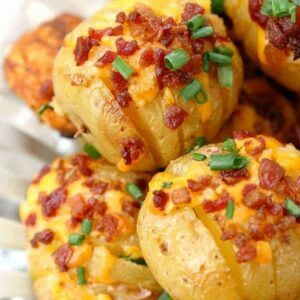 Besides these Mini Hasselback Loaded Potatoes, you can Browse Recipes & Save $1.50 just by clicking on the link! Find a Store near you that has Cooked Perfect Fire Grilled Chicken so you can plan a dinner that your family will love! 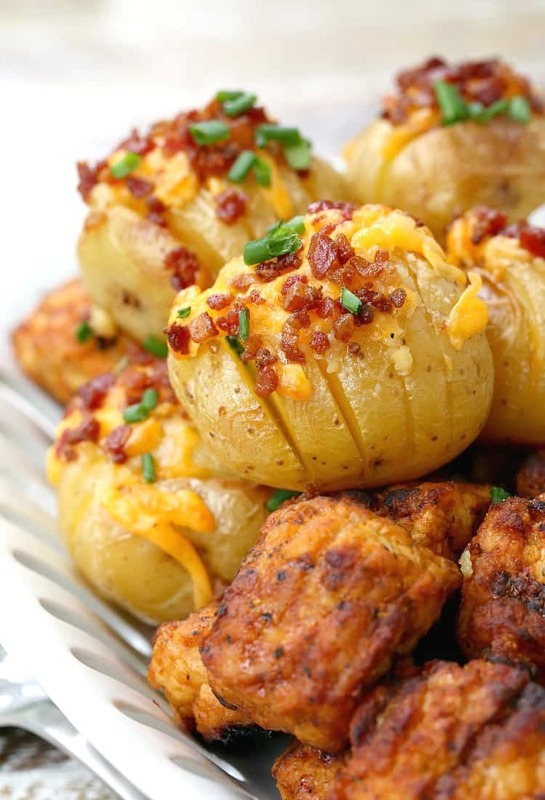 Mini, roasted stuffed potatoes that go perfectly with any dinner! Slice the potatoes (about 4-5 slices per potato) but not all the way down so that the potato stays together. A trick to doing this is to rest the potato on a wooden spoon so that you don’t slice all the way through. Brush with olive oil and season with kosher salt. Bake the potatoes for 35 minutes or until the potatoes are fork tender. Some will be smaller than others so check the larger potatoes. Turn the oven down to 400 degrees. Remove the potatoes from the oven and brush with the garlic and olive oil mixture. 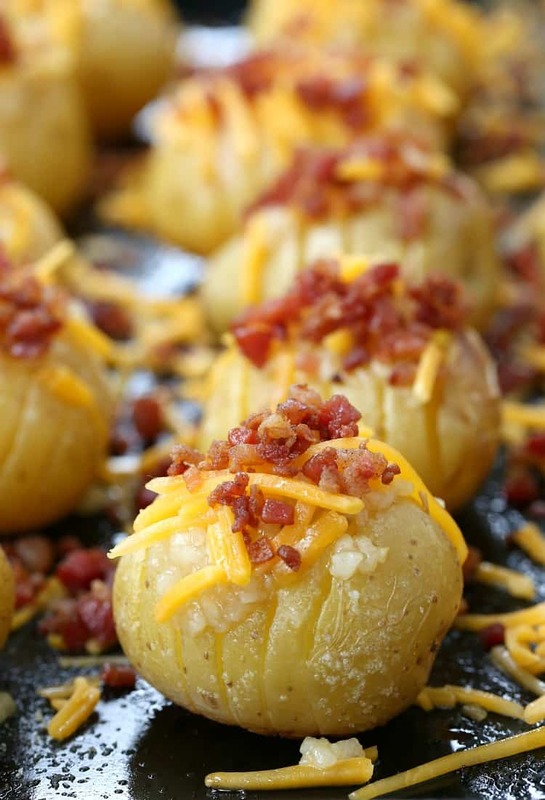 Add the cheese and bacon to each potato then bake for another 10 minutes. Serve these Mini Loaded Hasselback Potatoes with Cooked Perfect Chicken or your favorite dinner! The Biggest thing, routine, i miss…is sitting at the dinner table with my girls..it’s an much undervalued time to spend time as a family. I find it Very important. I agree. I think you should strive for it, but not beat yourself up about it!